Once again my in-laws were about to leave to go back to Ol’ Virginny. The night of day fifty-four we did an early Christmas gift exchange with them. This was my gift. I don’t call them “Mom and Dad”, I call them Chuck and Diana. 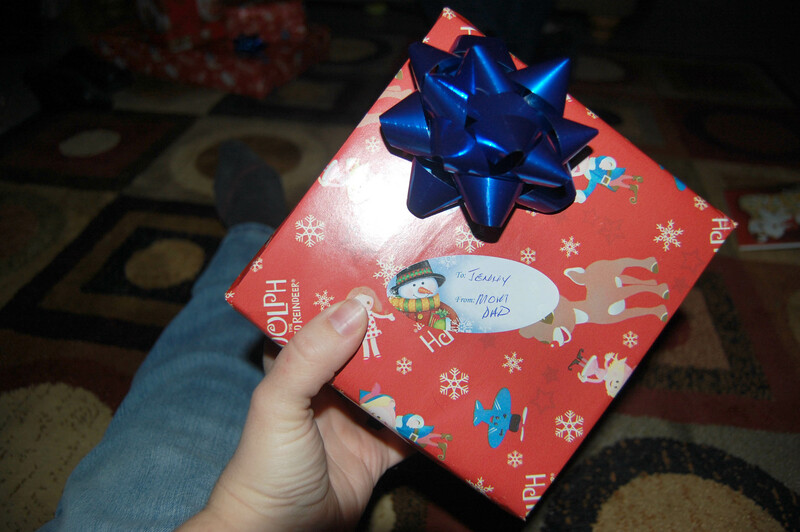 However, they put Mom and Dad on the gift tag. It made me feel all warm and fuzzy. I have been with their son for almost 16 years and married for 8. Needless to say I have been apart of the family for a long time. I know that they love me, but it was just a nice reminder. Since my in-laws were still visiting and would be leaving soon, we decided to buy and put up a Christmas tree a bit early. I also think my husband was excited about it because he was not home last year for Christmas. He was in Iraq. 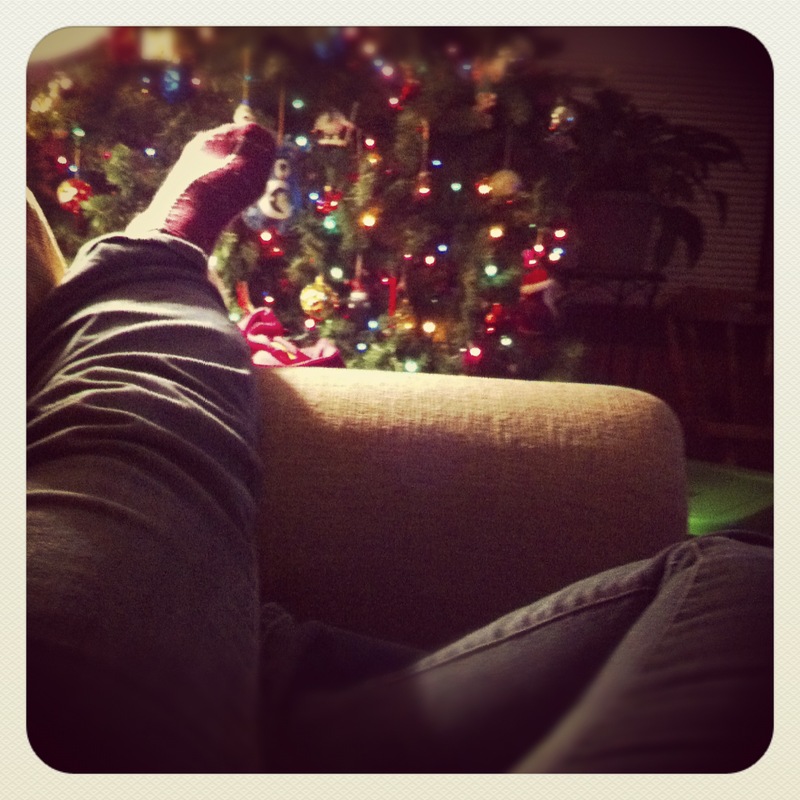 On day fifty-three we decorated our real tree, our first real tree since moving out of our parent’s houses. 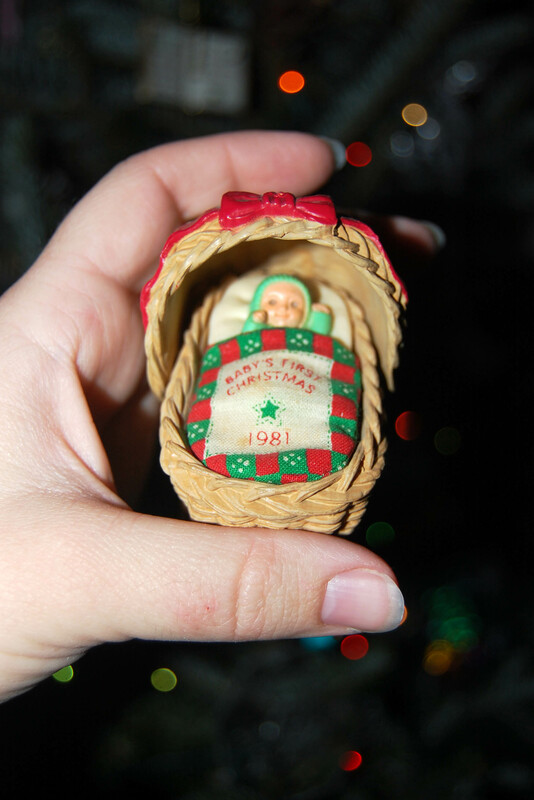 This ornament is my baby’s 1st ornament. 1981 represent! I have always loved this one and let no one else hang it ever! I’m glad that my Mom let me have it when I moved out. It is a small, but important part of my holiday traditions.